These are the oldest written tales concerning King Arthur. “On the evidence of the orthography and certain linguistic features of the text, it has been estimated that the tale took more or less its present shape sometime shortly before the eleventh century. It is therefore perhaps the earliest extant vernacular prose text from Wales.” Arthurian legend is very primitive in the triads. Further, he is glossed as a lesser hero. For example, it is suggested that rather than chivalrous battles Arthur engaged in guerilla warfare or solo missions against adversaries. “He is seldom portrayed as a mighty war leader against the Saxons”.That fact aside, the heroic age is still prevalent and well-connected with its’ pre-Roman roots. In one legend, Julius Caesar’s opponent Cassivellaunus surfaces as does the god Beli – the purported father of Arthur.The round table knight Tristan (dubbed Drystan), is introduced as a noble pig-herder in the Arthurian tales. The Dream of Rhonabwy is considered another great source of Arthurian legend. Culwch and Olwen and Rhonabwy date back earlier than the 11th century but were not added to the White Book of Rhydderch until the 14th century. Culhwch and Olwen, is an important Welsh Arthurian tale, is extant in two manuscripts: a complete copy in the Red Book of Hergest, ca. 1400, and an incomplete one in the White Book of Rhydderch, ca. 1325. Galaad son of Lawnslot of the Lake, and Peredur son of Earl Efrawg, and Bort son of King Bort. And the two first were virgin of body. And the third was chaste, for only once had he committed bodily sin; and that, through temptation, at the time when he won . . . daughter of King Brangor, who was Empress in Constantinople, and from whom was descended the greatest race in the world. All three were sprung of the race of Joseph of Arimathea, and of the lineage of the Prophet David, as the History of the Graal testifies. The stanzas themselves may well date to the ninth or tenth century. Certainly later court poets of the princes appear to have drawn on this information. the world’s wonder a grave for Arthur. I have been where Llachau was slain, the son of Arthur, awful in songs, when ravens croaked over blood. This is an incomplete poem, usually dated to the eleventh century. It begins as a dialogue between Arthur and Glewlwyd, the porter or gate-keeper, but develops into a list of Arthur’s men and their exploits. Many of the names and references are similar to those in Culhwch ac Olwen. The Battle of the Trees, from Preidu Annwn, is one of the transformation/prophecy poems of the legendary Taliesin. My fingers are long and white, far from a shepherd was I reared; I rolled on the ground before I became a proficient. I traversed, I went round them, I slept on a thousand islands. I took a hundred forts. Wise druids, prophesy to Arthur what will be, what is, what was once perceived: the story of the flood Christ’s crucifixion with Judgement Day at hand. The Song of the Horses, is a listing poem, this time of heroes and their steeds. He gave gifts of horses from the herd in winter. Rhydderch the Generous, son of Tudwal Tudglyd. And Arthur himself was more generous than the three. and Rahawd son of Morgant. And Coll son of Collfrewy, who guarded Henwen, the sow of Dallwyr Dallben, who went (when) about to bring forth(? ), to Penrhyn Awstin in Cornwall, (and there she went into the sea). And at Aber Tarogi in Gwent Is Coed she came to land. And Coll son of Collfrewy with his hand on her bristles wherever she went, whether by sea or by land. And in the Wheat Field in Gwent she brought forth a grain of wheat and a bee; and therefore that place is the best for wheat and bees. And from there she went to Llonion in Pembroke, and there she brought forth a grain of barley and a bee. From thence she made for the Hill of Cyferthwch in Eryri; there she brought forth a wolf-cub and a young eagle. And Coll son of Collfrewy gave the eagle to Bre(r)nnach the Irishman of the North, and the wolf he gave to Me(n)waedd son of … Arllechwedd; and these were (the Wolf of) Me(n)waedd and the Eagle of Brennach. And from thence she went to the Black Stone in Llanfair in Arfon, and there she brought forth a kitten; and Coll son of Collfrewy threw that kitten into Menai. And she was afterwards Palug’s Cat. and the third: the three-fold dividing by Arthur of his men with Medrawd at Camlann. and Gwenhwyfar daughter of (G)ogfran the Giant. and Gwyl (“Modest”) daughter of Gendawd (“Big Chin”). The manuscripts were preserved at Hengwrt for generations, and some other volumes were added to them over the years. When Sir Robert Williames Vaughan of Hengwrt died in 1859, without an heir, he left the collection to his friend W W E Wynne, who moved the manuscripts to the Peniarth Library, Meirioneth. The whole collection was bought by Sir John Williams (1840-1926) in 1904. When W R M Wynne, the eldest son of W W E Wynne died in 1909, the manuscripts were transferred from Peniarth to the new National Library at Aberystwyth. 1. Three tribal thrones of the Island of Prydain. Arthur the Chief Lord at Menevia, and David the chief bishop, and Maelgwyn Gwyned the chief elder. Arthur the chief lord at Kelliwic in Cornwall, and Bishop Betwini the chief bishop, and Caradawg Vreichvras the chief elder. Arthur the chief lord in Penrionyd in the north, and Cyndeyrn Garthwys the cheif bishop, and Gurthmwl Guledic the chief elder. 2. Three generous ones of the Island of Prydain. Nudd Hael, son of Senyllt; Mordaf Hael, son of Servan; Rhydderch Hael, son of Tutwal Tudelyt. 3. Three fair lords of the Island of Prydain. Run son of Maelgwyn; Owen son of Urien; Ruawn Pefyr son of Deorath Guledig. 4. Three naturalists of the Island of Prydain. Gwalchmei son of Gwyar; and Llachau son of Arthur; and Rhiwallawn Gwallt Banadlen. 5. Three pillars of battle of the Island of Prydain. Dunawd son of Pabo pillar of Britain; and Gwallawc son of Lleenawc; and Cynfelyn Drwsgl. 6. Three bulls of battle of the Island of Prydain. Kynvarch Cat Caduc son of Kynnwyt Kynwytyon; and Gwenddoleu son of Coidyaw; and Uryen son of Kynvarch. 7. Three bull-princes of the Island of Prydain. Elmwr son of Cadeir; and Cynhafal son of Argat; and Afaon son of Taliessin. Three sons of bards were these. 8. Three Humble Princes of the Island of Prydain. Llywarch Hen son of Elidyr Lydanwyn; and Manawydan son of Llyr Lledyeith; and Gwgawn Gwrawn son of Peredur son of Eliffer Gosgordvaur. 9. Three princes of the Court of Arthur. Goronwy son of Echell Fordwyten; and Cadreith son of Porthfaurgaddu; and Fleidur Fflam. 10. Three princes of Deira and Bernicia. Gall son of Desgyfedawdt and Ysgafnell son of Disgyfedawt; and Diffydell son of Disgyfedawt. Three sons of bards were these three. 11. Three ruddy-speared bards of the Island of Prydain. Tristvardd bard of Urien; and Dygynelw bard of Owen; and Mainferdic, bard of Cadwallawn, son of Catfan; and they were sons of Morgant. 12. Three supreme servants of the Island of Prydain. Caradawc son of Bran; and Caurdaf son of Caradawc; and Owen son of Maxen Guledic. 13. Three fleet owners of the Island of Prydain. Gereint son of Erbin; and Gwenwywnwyn son of Naf; and March son of Meirchiaun. 14. Three strong-crutched ones of the Island of Prydain. Rineri son of Tangwn; and Tinwaed faglaw; and Pryder son of Dolor of Deira and Bernicia. 15. Three fettered ones of the Island of Prydain. Cadwaladyr the blessed; and Run son of Maelgwyn; and Rhiwallawn wallt Banadlen. 16. Three cavaliers of battle of the Island of Prydain. Caradawg freichfras; Menwaed of Arllechwedd; and Llyr Lluydauc. 17. Three hostile ovates of the Island of Prydain. Greidiawl Galovyd, son of Enfael Adran; and Gweyr of great manliness; and Trystan son of Tallwch. 18. Three red-spotted ones of the Island of Prydain. Arthur; and Run son of Beli; and Morgant Mwynfawr. 19. Three front leaders of battle of the Island of Prydain. Trystan son of Tallwch; and Huil son of Caw; and Cei son of Cynyr Cynfarfawc and one person was supreme over these three: Bedwyr son of Pedrawt was that one. 20. Three heroes of the Island of Prydain. Th three sons of Hayarnwed the treacherous: Grudnei and Henpen and Edenawc. 21. Three arrogant ones of the Island of Prydain. Sawyl penuchel; and Pasgen son of Uryen; and Run son of Einiaun. 22. Three obstructers of slaughter of the Island of Prydain. Gilbert son of Catgyffro; and Morfran son of Tegid; and Gwgun of the ruddy sword. 23. Three powerful swineherds of the Islad of Prydain. Trystan son of Tallwch, who kept the swine of March, son of Meirchiawn, while the swineherd went on a message to Essyllt to desire a meeting with her, and Arthur desired one pig by deceit or by theft, and could not get it; and Pryderi son of Pwyll, who kept the swine of Pendaran Dyfed in Glencuwch in Emlyn; And Coll son of Collfrewy, who kept the ancient sow of Dallweir Dalben, who went burrowing as far as Penryn Awstin in Cornwall, and there going to the sea, landed at Abertorogi in Gwent Iscoed, and Coll son of Collfrewy having his hand on her bristles, wherever she went on the sea or on the land, and at Maes Gwenith in Gwent she dropped wheat and bees, and from henceforth there is the best wheat there, and from thence she went to Lonwen in Penbro, and there she dropped barley and bees, and from thence there is the best barley in Lonwen, and from thence she proceeded to the Riw Cyferthwch in Eryri, and there she dropped a wolf-cub and an eagle, and Coll son of Collfreuy gave the eagle to Brynach Gwyddel of the north, and the wolf he gave to Menwaed fo Arllechwedd, and these are the wolf of Menwaed and the eagle of Brynach, and thence going to Maendu in Llanfare, in Arvon, and there she dropped a kitten, and Coll son of Collfrewy threw the kitten in the Menai, and she became afterwards the Paluc cat. 24. Three chief-gleaming ones of the Island of Prydain. Coll son of Collfrewy; and Meniw son of Teirgwaed; and Drych son of Kiwdar. 25. Three primary illusions of the Island of Prydain. The illusion of Math son of Mathonwy; and the illusion of Uthyr Pendragon; and the illusion of Gwydelen Gor. 26. Three loyal households of the Island of Prydain. The household of Catwallaun son of Cadfan, who were seven years in Ywerdon with him, and in that time demanded no pay nor compensation from him; and the household of Gafran son of Aedan, who went to sea with their lord; and the third the household of Gwendoleu son of Ceidyaw at Arderyd, who maintained the contest forty-six days after their lord was slain. The number of the households each one of their warriors one hundred men and a score. 27. Three disloyal households of the Island of Prydain. The household of Goronw Pebyr of Penllyn who refused to stand in place of their lord to recieve the poisoned darts from Lew Law Gyffes in Lech Goronwy in Blaen Cynfael; and the household of Gwrgi and Peredur, who deserted their lords at Caer Greu, when there was appointment for battle next morning against Eda Glinmaur, and they were both slain; and the third, the household of Alan Fyrgan, who returned back by stealth from their lord, on the road at night with his servants at Camlan, and there he was slain. 28. Three pass retinues of the Island of Prydain. The retinue of Mynydawg of Eidyn; the retinue of Melyn son of Cynvelyn; and the retinue of Dryan son of Nudd. 29. Three warriors who made the three good assassinations of the Island of Prydain. Gall son of Dysgyfedawt, who slew the two birds of Gwendoleu, who had a yoke of gold about them, and devoured two bodies of the Cymry at their dinner and two at their supper; and Ysgafnell son of Dysgyfedawt, who slew Edelfled king of Lloegyr; and Diffedel son of Dysgyfedawt, who slew Gwrgi Garwlwyt, and this Gwrgi a male and female of the Cymry, and two on Saturday that he might not kill on Sunday. 30. Three atrocious assassinations of the Island of Prydain. Eidyn son of Einygan, who slew Aneiryn Gwawdrud, the supreme of bards; and Llawgat Trumbargawt, who slew Afaon son of Taliessin; and Llovan Llawdino, who slew Urien son of Kynvarch. 31. Three atrocious axe-strokes of the island of Prydain. The axe-stroke of Eidyn on the Head of Aneiryn; and the axe-stroke on the head of Godlan the bard; and the axe-stroke on the head of Iago son of Beli. 32. Three combined expeditions that went from this island and never returned. One went with Helen Luydawg and Cynan her brother. Another went with Yrp Luydawc, in the time of Cadyal son of Erynt, he came to ask assistance, and he asked not from each city, but the same number he should bring with him and there came with him to the first only one youth, and he obtained one given him. He was the greatest levier fo an expedition that went from this island, and none of the warriors returned. They went on an invasive expedition, these warriors, to two islands in the sea of Greece. These are teh two islands, Gals and Avena. The third host went with Caswallaun son of Beli, and Gwenwynwyn, and Gwanar sons of Lliaws son of Nwyure, and Aranrot daughter of Beli, was their mother, and from Arllechwed were these wariors, and they went with Caswallawn, their uncle, against the Cesariot over the sea, and these warriors are now in Gwasgwyn. There went with each of these hosts one thousand and twenty. These are the three silver hosts. They were thus called, for they took the gold and silver of the island with them, as much as they could. 33. Three oppressions came to this Island, and did not go out of it. The nation of the Coranyeit, who came in the time of Llud son of Beli, and did not go out of it; the Oppression of the Gwyddyl Fichti, and they did not again go out of it. The third, the oppression was the Saxons, and they did not again go out of it. 34. Three closures and three disclosures of the Island of Prydain. The blessed head of Bran son of Llyr, which was buried in the Gwynfryn in London, and while the head remained in that state, no invasion would ever come to this island. The second, the bones of Gwerthefyr the blessed, which are buried in the principle ports of this island; and the third, the dragons which Llud son of Beli buried in Dinas Emreis in Eryri. The Four Ancient Books of Wales. ed. by William F. Skene. Edinburgh: Edmonston and Douglas, 1868. >Celtic Symbolism: "The Triads of the Island of Britain"
The Welsh Triads (Welsh: Trioedd Ynys Prydein, literally “Triads of the Island of Britain”) are a series of sayings written in three consecutive lines. The phrases serve to depict people, events, and places from Medieval Britain. The triads are both a source of pride for the British people and are a semi-reliable source of historical information on the British Isles. The three-line writing form is thought to have been a mnemonic device for Bards; the prevalent heraldic tradition required a better method for recall. The earliest triads date from pre-Saxon invasion literature. The earliest surviving collection of the Welsh Triads is bound in the manuscript Peniarth 16, now at the National Library of Wales, which has been dated to the third quarter of the 13th century and containing 46 of the 86 triads edited by Rachel Bromwich. 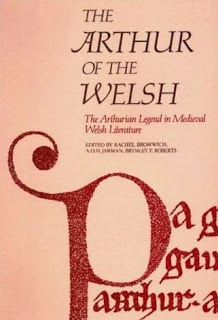 Other important manuscripts include Peniarth 45 (written about 1275), and the pair White Book of Rhydderch (Welsh: Llyfr Gwyn Rhydderch) and Red Book of Hergest (Llyfr Coch Hergest), which share a common version of the Mabinogion clearly different from the version behind the collections in the Peniarth manuscripts. Mythic figures such as Bran the Blessed, undeniably historical personages such as Alan IV, Duke of Brittany (who is called Alan Fyrgan) and even Iron Age characters like Caswallawn (Cassivellaunus) and Caradoc (Caratacus). The Medieval Welsh tale Culhwch and Olwen, see below, has many triads embedded in its narrative. 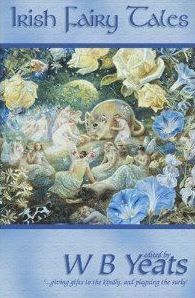 The Dream of Rhonabwy is considered another great source of Arthurian legend. Culwch and Olwen and Rhonabwy date back earlier than the 11th century but were not added to the White Book of Rhydderch until the 14th century. Culhwch and Olwen, an important Welsh Arthurian tale, is extant in two manuscripts: a complete copy in the Red Book of Hergest, ca. 1400, and an incomplete one in the White Book of Rhydderch, ca. 1325. On the evidence of the orthography and certain linguistic features of the text, it has been estimated that the tale took more or less its present shape sometime shortly before the eleventh century. It is therefore perhaps the earliest extant vernacular prose text from Wales. It contains the oldest written form of Arthur. Culhwch and Olwen, an important Welsh Arthurian tale extant in two manuscripts: a complete copy in the red book of hergest, ca. 1400 Culhwch and Olwen is the oldest Welsh literature and shows the most primal form of Arthurian legend. The story is about the knight Culhwch who is cursed by his step mother to woo Olwen, the daughter of a giant. Culhwch finds his way to the court of Arthur and we get the first view of the classic Arthurian court hospitality. There Arthur and his knights set out on a series of adventures. There is a huge separation between the language used in Culhwch and Olwen and the language found in the more formal Mabinogion. Culhwch and Olwen is a prime example of Old Welsh language while the Mabinogion displaces Middle Welsh. The Mabinogion: ‘The Four Branches of the Mabinogi’, ‘Culhwch and Olwen’, ‘The Dream of Macsen Wledig’, ‘Lludd and Llefelys’, ‘Peredur’, ‘Owain’, and ‘Geraint and Enid’. The Mabinogion is a collection of eleven Welsh “tales of youth”. It was translated by Lady Charlotte Guest (1838–1839) and contains four tales from The Red Book of Hergest as well as fragments from the White Book of Rydderch. The tales were composed during the 11th and 12th centuries, and began full compilation by 1200. 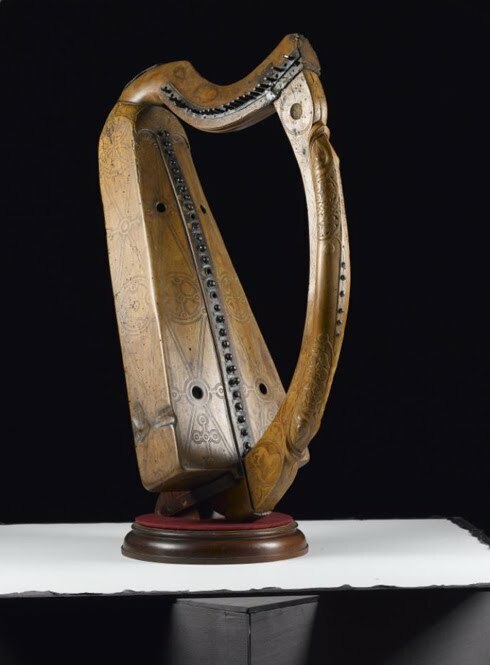 () Mabinogi refers to a group of four of the tales known as “Pedair Cainc y Mabinogoni”. The word is derived from the Welsh mab meaning ‘boy’ or ‘youth’. In addition to these four tales, the Mabinogion contains the texts of Culhwch and Olwen, the Dream of Maxen, Lludd and Llevelys, The Dream of Rhonabwy, The Lady of the Fountain, Son of Evrawg, and Gereint and Enid. Arthur appears in many of these tales. The four main branches of the tale include the tales of Pwyll, Branwen, Manawydan, and Math. All of these are stories on Celtic myths. The tales take place in a pre-Norman past, creating a strong sense of 11th century Welsh society and early Norman influence on the material life of the nobility. Within these four branches are other loosely-related stories, which adhere to Norman history. These serve as important histories as they were written before Geoffrey of Monmouth’s Historia Regum Britanniae, thus they are novus originae of Arthurian Legend tradition. For example, Culhwch ac Olwen, antedates the Norman Conquest. This story takes place in King Arthur’s court, and it describes a sequence of challenges in which Culhwch must accomplish to win the daughter of the gaint Ysbaddaden. These Welsh romances correspond to 12th century French Romances of Yvain, Perceval, Erec and Enide leading scholars to believe that these French or Breton tales derive from Welsh materials. The Mabinogion also inspired several modern English texts such as The Virgin and the Swine by Evangaline Walton. Iolo Morganwg (Edward Williams), the 18th century Welsh antiquarian, compiled a collection of triads, which he claimed to have taken from his own collection of manuscripts. Some of his triads are similar to those found in the medieval manuscripts, but some are unique to Morganwg, and are widely believed to have been of his own invention. 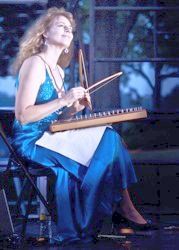 “Writers like Morganwg in the late 18th and early 19th centuries created a ‘pedigree’ of bardic activity”. 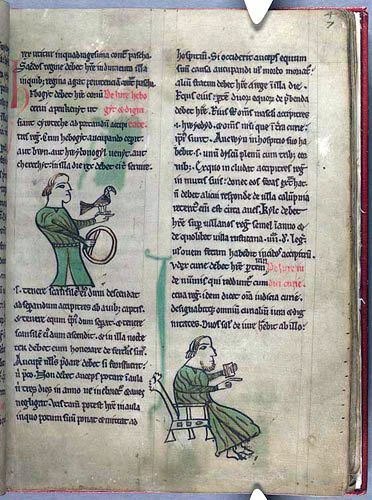 One example of Morganwg’s contributions is the story of Dwynwen: the 5th or 6th century Welsh patron saint of lovers. Her story is depicted in three Latin prayers originally though, Morganwg conjured a fanciful tale to enrich the triad and make the story more mystical. Among his many contributions to Welsh culture, he also founded the Gorsedd Beirdd Ynys Prydain, “The Gorsedd of Bards of the Island of Britain”. A group that celebrates Welsh culture and still exists today. 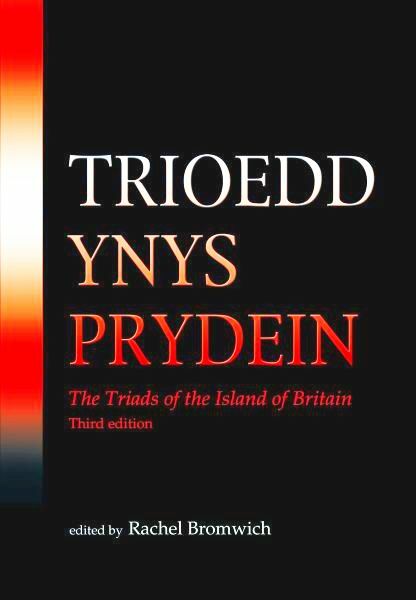 For a complete edition, translation and commentary, see Rachel Bromwich, Trioedd Ynys Prydein. The Welsh Triads. Cardiff: University of Wales Press, 1961. A second edition appeared in 1978, and the third edition has just appeared; click here to read about this new edition on the University of Wales Press site. Aberdeen (Scottish Gaelic: Obar Dheathain [ˈopər ˈʝɛhɪn]) is Scotland’s third most populous city. Nicknames include the Granite City, the Grey City and the Silver City with the Golden Sands. During the mid-18th to mid-20th centuries, Aberdeen’s buildings incorporated locally quarried grey granite, whose mica deposits sparkle like silver. The area around Aberdeen has been settled since at least 8,000 years ago, when prehistoric villages lay around the mouths of the rivers Dee and Don. Regarding it’s standing stones I am pleased to share with you this interesting review written by Jos van Geffen who also took the pictures included here. All rights reserved by the author and re-posted by his kind permission. Scotland still has a large number of pre-historic sites: stone circles, brochs, houses, tombs, rock carvings, etc. The precise origin and function of most of these sites is a mystery because the peoples that build them left no written history. 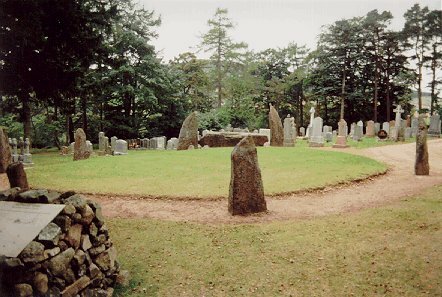 On this page you find three stone circles in the area west of Aberdeen, but there are more much more examples of pre-historic sites, some of which I visited myself. Undoubtably the most impressive were Standing Stones of Callanish (on Lewis), but also the Kilmartin Glen and Orkney show a wonderful collection of pre-historic sites. ===> a page with some more pre-historic sites: an earth house and the Stones of Stenness. 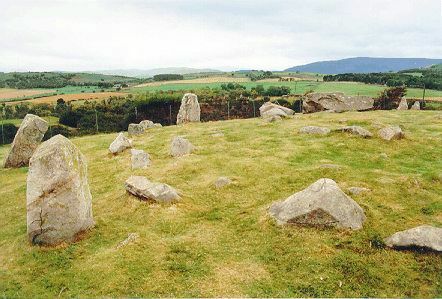 Recumbent stone circles, such as this, are only found in north-east Scotland. 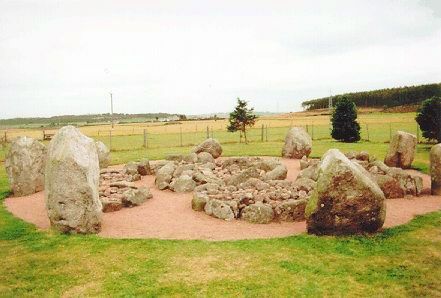 The are characterised by a large slab placed horizontally between two flanking uprights on the circumference of the circle and a low burial cairn in the centre. 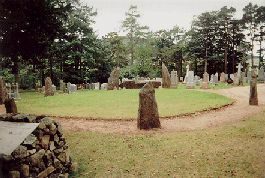 These stone circles were made or used probably about 1800-1600 B.C. The recumbent is 4.5 metres long and can be seen in the background at the centre. The text on the information sign at this site tells more about recumbent stone circles in general and this one in particular. I have translated that text also in Dutch (in het Nederlands dus). Cullerlie: a circle of eight undressed boulder encloses an area consecrated by fires on which eight small cairns ringed by stones were built, probably about 2000 B.C. Two of the cairns contain pits and two other cists. Because the site has been disturbed before, excavations in 1934 revealed only burnt bones, charcoal, and part of a flat knife. Some more information in English and that text translated in Dutch (Nederlands). This map (17 kb) shows with a red square where these three photos were taken; date: 28 September 1996. Lanty M’Clusky had married a wife, and, of course, it was necessary to have a house in which to keep her. Now, Lanty had taken a bit of a farm, about six acres; but as there was no house on it, he resolved to build one; and that it might be as comfortable as possible, he selected for the site of it one of those beautiful green circles that are supposed to be the play-ground of the fairies. Lanty was warned against this; but as he was a headstrong man, and not much given to fear, he said he would not change such a pleasant situation for his house to oblige all the fairies in Europe. He accordingly proceeded with the building, which he finished off very neatly; and, as it is usual on these occasions to give one’s neighbours and friends a house-warming, so, in compliance with this good and pleasant old custom, Lanty having brought home the wife in the course of the day, got a fiddler and a lot of whisky, and gave those who had come to see him a dance in the evening. This was all very well, and the fun and hilarity were proceeding briskly, when a noise was heard after night had set in, like a crushing and straining of ribs and rafters on the top of the house. The folks assembled all listened, and, without doubt, there was nothing heard but crushing, and heaving, and pushing, and groaning, and panting, as if a thousand little men were engaged in pulling down the roof. This was followed by a noise like the clapping of a thousand tiny little hands, and a shout of ‘Bravo, Lanty! build half-way between the two White-thorns above the boreen’; and after another hearty little shout of exultation, there was a brisk rushing noise, and they were heard no more. The story, however, does not end here; for Lanty, when digging the foundation of his new house, found the full of a kam of gold: so that in leaving to the fairies their play-ground, he became a richer man than ever he otherwise would have been, had he never come in contact with them at all. Kam—a metal vessel in which the peasantry dip rushlights.